Ascend Wilderness Experience – Page 2 – Changing the world…one backpack trip at a time. Join us for an exciting film screening Thursday, February 16, 2017! 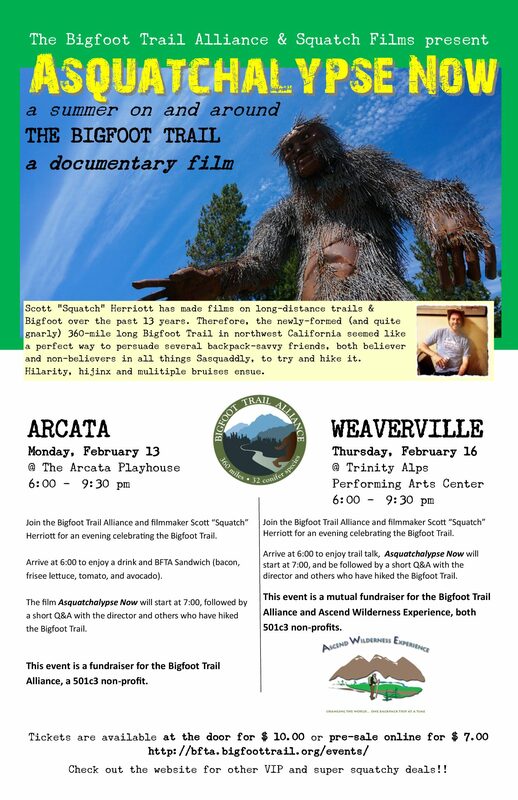 Proceeds benefit Ascend Wilderness Experience and The Bigfoot Trail Alliance! Ascend is working on their first digital newsletter to be released in the Spring of 2017. Since our August 2016 revitalization we’ve had lots to report on: successful fundraisers, rekindled local networks and exciting new vision for Ascend’s growth. We’d love to tell you all about it! We’re collecting email address (and snail mail address too), to share our good news in a quarterly newsletter beginning May 2017. If you want to be in the loop, send us your information! You can subscribe to our mailing list via our website (to the right of this post) or email us at information.ascend@gmail.com with the Subject Title “Newsletter Subscription”. 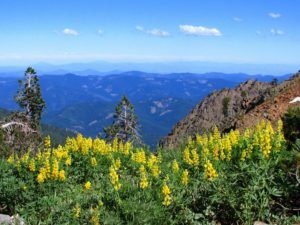 Ascend Wilderness Experience just received equipment grant funding for summer 2017. We’ll be purchasing some great new gear and getting everything ready for a fun, adventurous summer! 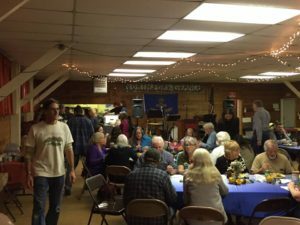 Benefit Dinner & Polka Party Success! So much gratitude for the turnout to our Polka Party & Benefit Dinner!! It was a full house! The food was top-notch, great quality silent auction items, AMAZING polka music by the Hobo Gulch Polka Band. Endless thank you’s to all those who came out to support us, and to everyone who VOLUNTEERED!!! You are our heroes, without you, we wouldn’t have been able to do it! For those who didn’t make it, send us your email address, and we’ll keep you in the loop for our next event. Thank you, thank you, thank you! 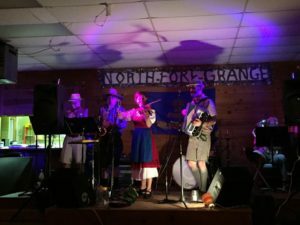 Benefit Dinner and Polka Party – Saturday October 22nd!!! 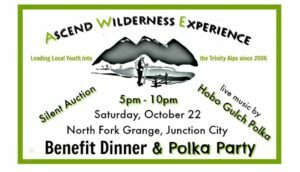 To help fund Trinity Alps Wilderness excursions for local youth in the 2017 backpack season, Ascend Wilderness Experience is throwing a Benefit Dinner and Polka Party! The fun-filled event will feature a fresh local produce dinner, silent auction, and live music by Trinity County’s own Hobo Gulch Polka. Ascend will also offer a slide show, testimonials from past participants, and fun activities to share the meaningful work that the organization does. Silent auction items include, guided fishing trips, rafting trips, outdoor gear and much more. Doors at 5pm, dinner at 6pm, and polka at 8pm. Tickets are $20 for adults, $15 for kids under 12, $35 for couples, and $60 for a family of 4. Tickets are available at Mamma Llama, Junction City Store, Norel-Pom and at the door.